Last Friday marked the 134th anniversary of the battle. I’m talking about The Battle of the Little Bighorn, also known as Custer’s Last Stand. It claimed, 263 soldiers, including Lt. Col. George A. Custer and attached personnel of the U.S. Army, who died fighting several thousand Lakota, and Cheyenne warriors led by Sitting Bull. 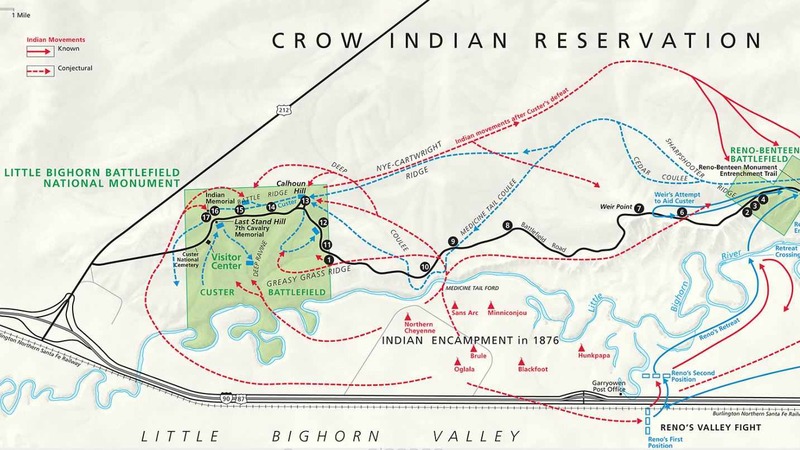 They fought for their land near what’s now Crow Agency, MT when the government tried to drive the Indians off the land after white settlers discovered gold there. The Black Hills in southeastern Montana (present day South Dakota) were declared Indian land in the late 1860s. A single swallowtail flag – or Guidon – is one of the few artifacts found from the battle. Guidons served as battlefield beacons marking company positions. The victorious Indians stripped the corpses of trophies, but missed the bloodstained flag, which was hidden under the body of a soldier. The Culbertson Guidon as it’s called was recovered by Sergeant Ferdinand Culbertson, a member of a burial party. It was sold for $54 in 1895 to the Detroit Institute of Arts who has now decided to sell it and use the proceeds to build its collection. The flag has been valued at $2 million to $5 million and will be auctioned sometime in October by Sotheby’s. If you’re headed to the Sturgis Rally then the battlefield is a must see stop. It’s at the junction of I-90 and Hwy 212 and today the Little Bighorn National Monument offers up a wide range of activities and interpretive opportunities. I was there about 3 years ago and blogged about HERE. The Forest Rangers provide talks about the battle and there are a number of related items presented in the Visitor Center. I remember most an obelisk which commemorates the U.S. Army dead, and marks the spot of the mass grave where all U.S. soldiers were re-buried. 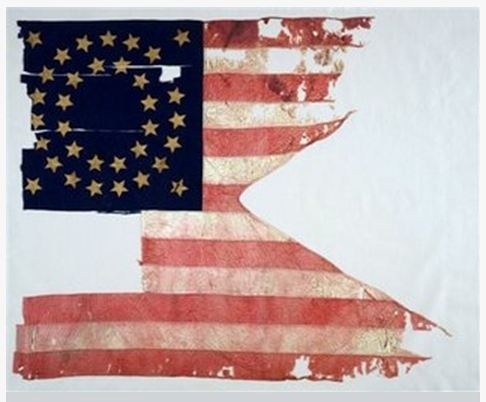 Photo of flag courtesy of Sotheby’s.